Be seen as an ideal candidate by exercising emotional intelligence during the interview. Jennifer L. Smith, executive leadership coach, will help understand the role social and emotional intelligence plays in interviewing successfully on Wednesday, July 30, from 9:30 am to noon at the Parsippany-Troy Hills Library. Jennifer L. Smith is a seasoned Executive Leadership Coach. Her personalized, results-oriented coaching approach enables her to get at the root of the challenges her clients face, discover barriers along with the potential impact, develop strategies and take action that moves them towards their goals. She held senior organization development leadership positions at General Electric, Panasonic, and Munich Re America. 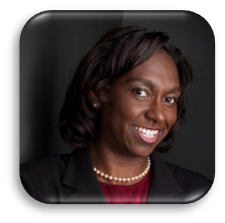 In addition to a bachelor’s degree in Accounting from Grambling State University she is a graduate of General Electric's Financial Management Leadership Program (FMLP). She also holds a Master’s degree in Organization Development and Human Resources from The Johns Hopkins Carey Business School. Jennifer is a member the International Coach Federation (ICF) and is the President-Elect for ICF-New Jersey Charter Chapter.